I will translate your text from English to Spanish and vice versa in 24hours. You will receive your translation print ready, edited and converted into pdf. I offer a professional service, always proofread and in time. 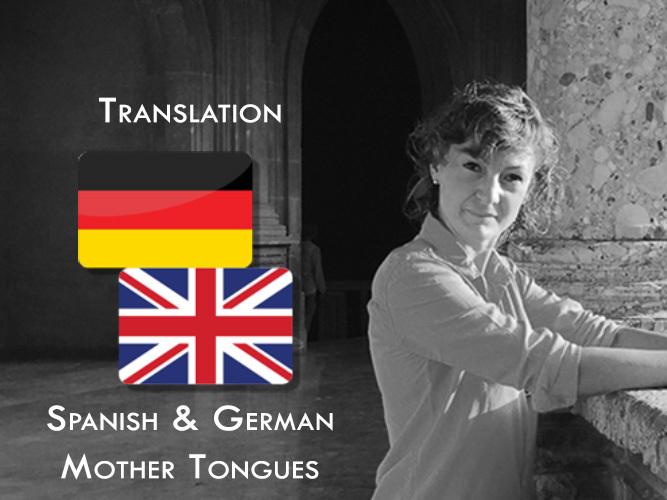 I provide an accurate, high quality translation, 100% manually without help of any translation software. In addition to a proper and correct translation, I provide texts that correspond to country specific cultural habits. Please send me your text as word or excel document. Please contact me before ordering, if your text does contain many technical or legal terms or is complex in any other way, the proposed rate may vary. Great and very fast translation! Thank you very much, Leonor! It is a pleasure working with. Very happy with the work done. So quick too! My name is Leonor, I do have a German mind and a Spanish heart. My passions are languages and the big world of digital marketing and new technologies. I enjoy every moment of life and...Read moreMy name is Leonor, I do have a German mind and a Spanish heart. My passions are languages and the big world of digital marketing and new technologies. I enjoy every moment of life and if it can be playing paddle-tennis, cycling or hiking even more. Besides, I enjoy life in company of my family, friends and my dog Salvador.